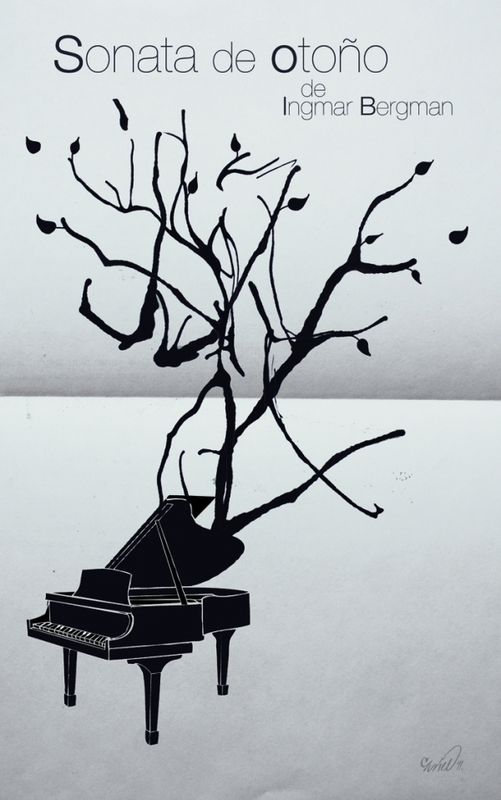 Autumn Sonata is a poignant and intensely probing film about the intricacies of familial relationships. Eva is a faint-hearted, muted, and brittle wife of a country parson, who has invited her mother, Charlotte to stay with her after a separation of seven years. Charlotte is an acclaimed concert pianist, whose career has dictated prolonged separations from her family, afforded her opportunities of indulging in extramarital relationships, and all these in turn have inflicted severe psychological and physical damages on her two daughters. Helena, the other daughter of Charlotte, is bed-ridden with a disease of physiological decay, who had developed a physical relationship with Charlotte's former but now dead boyfriend. While Eva wants to confront her mother, having recently experienced the death of her husband, Charlotte is eager to renew her relationship with her daughter. Due to Eva's confrontations with her mother, their congenial reunion is going to be short-lived and full of familiar emotional landscapes - guilt, regrets, and pain. The most dramatic moments of the film centers on the fragile and emotionally charged scene that is at the heart of this film. It is an exploration of guilt, regret, and pain. Eva's faceoff with her mother leads to a verbal catharsis - the ineluctable release of long harbored frustration, accusations, and anger. The scene, and indeed the film itself, underscores the need for acceptance and connection. Bergman uses thematic colors that permeate the film. In Autumn Sonata, the thematic color is fittingly fall: pumpkin orange and fading yellows. The theme is especially appropriate for the story of a mother in the twilight of her career who is seeking reconciliation and closure. It also creates an atmosphere that is warm and inviting, a woman coming home at the end of her journey. It is, however, a journey that has only begun. 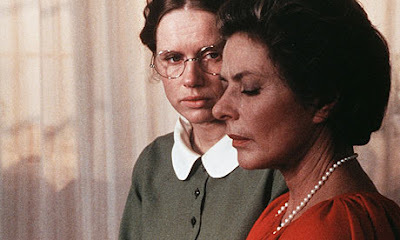 Ingmar Bergman’s “Autumn Sonata” (1978) depicts psychological condition of an attractive and intelligent person (Liv Ullmann) who in spite of being successfully married is suffering from the consequences of having been chronically neglected by her mother (Ingrid Bergman) as a child and adolescent. The film is dedicated to analyzing the emotional encounter between these two characters when the mother after years of separation visits her daughter and her husband in their idyllic country residence. Bergman presents to the viewers a rare form of psychotherapy when the psychotherapist is absent, when the two people connected by painful private relationships are able through personal confessions to each other – to open their psychological wounds from the past and heal them with the help of the partner in the relationship. In this Existential Confession psychotherapy real people with real problems become psychotherapists of themselves and other person(s) involved. Experiencing Bergman’s film can be considered as a preparation necessary for developing the ability to create and to go through this therapy with ourselves and people dear to us. Because Charlotte, the mother of the main character of the film, Eva, is a successful pianist, Bergman analyzes the connection between her neglect of her two daughters and what can be called ontological rivalry between sophisticated art and life, when these two “monarchs” ruling over the human desires, try to dominate one another by recruiting the human loyalty to its side and sacrificing human happiness. In his depiction of the psychology of the two main characters Bergman uses descriptive stylization strategies like, for example, the “puppets pantomime episodes” when the protagonists are reduced to, as if, marionettes able only to illustrate Eva’s voice-over when she is trying to explain to her mother the painful experiences of her childhood and youth. Another example is Charlotte’s particular manner of imaginary talking with people important to her – as if they are present in front of her (this naïve psychological trick allows Charlotte to avoid contact with her deeper experiences and emotions by projecting them outside herself, transforming them into external reality). The incredible acting of the two actresses of international fame and universal appreciation creates emotionally symphonic performances (music of emotional life) that make you “hypnotically” return to the memory of the film again and again. Bergman’s intention, it seems, is to help us to become more contemplative about our motivations and desires and more intelligent in relation to our emotional life.